The Georgia Arborist Association (GAA) brings together tree care professionals and tree enthusiasts to advance arboriculture education and practices as well as to advocate for the protection of Georgia's trees. 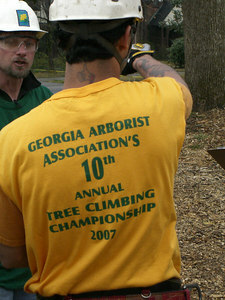 The GAA promotes fellowship, education, training and networking among Georgia arborists. Safe and proper tree care practices are the cornerstones of the GAA and its activities. The GAA’s mission is to promote safe and proper arboriculture practices in the state of Georgia through networking, training, and public education; and to be a voice for the professional arborists who manage and care for Georgia’s trees.